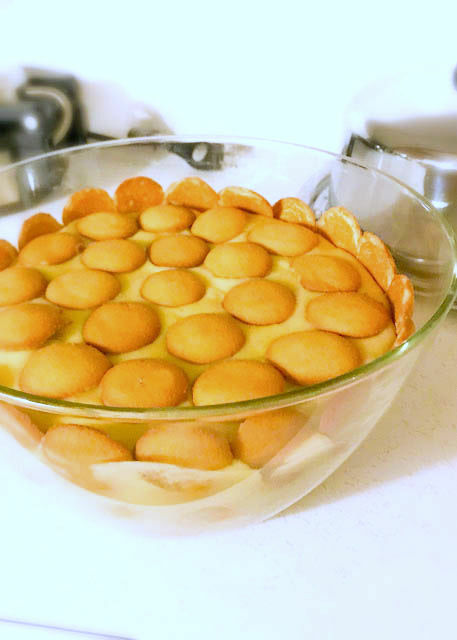 Homemade Banana Pudding, rich and creamy homemade pudding poured over Nilla wafers and fresh banana slices, old fashioned goodness like Grandma makes. You could say my Mother made real homemade pudding, the kind you cook on the stove from scratch, not out of a box. It's not hard just takes a little more time. I can still see my Mother standing at the stove (with her apron, loved those aprons) stirring the pudding and not taking her eyes off of it. Sure it takes a little time and effort to make this Banana Pudding from scratch, but it is so worth it. I don't know if you have a special bowl to layer your Banana Pudding in or not, we did, and I am tickled to have a bowl just like my Mother had. It just makes it a little special and if I am not mistaken a little sweeter (grins)! In a large dutch oven add sugar, flour, and salt. Whisk together until thoroughly blended. In a large bowl beat eggs and add all the milk. Beat again until eggs are completely incorporated into the milk. Add milk mixture to the flour mixture and stir until all is blended. With the dutch oven on the burner, start cooking the pudding on medium heat stirring with a whisk constantly. After 10-15 minutes and the pudding begins to thicken slightly, check to see if it is ready by dipping a tablespoon in it and running your finger down the back of it. If it leaves a clean strip, it is ready. 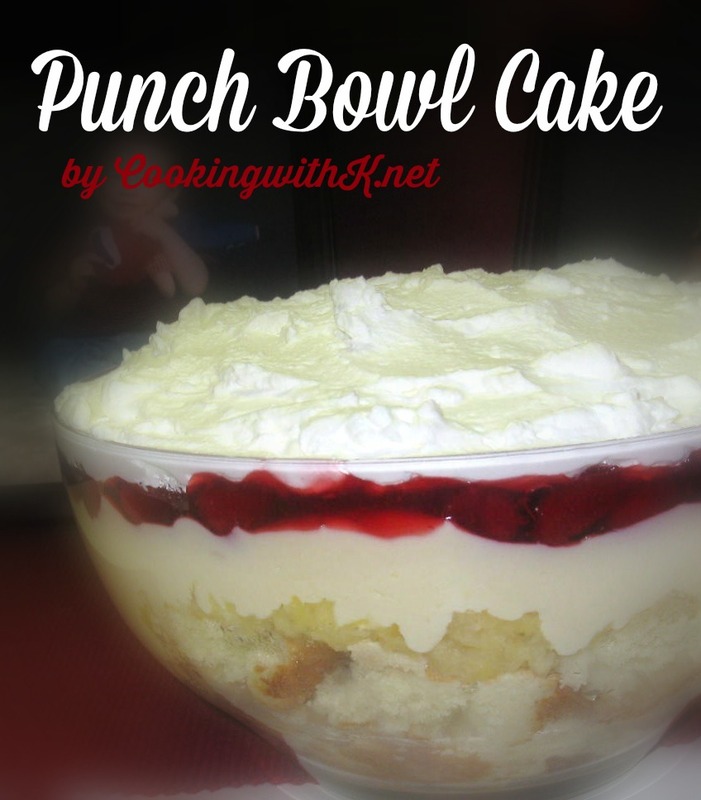 If the pudding runs together after you run your finger down the back of the spoon, it needs to cook a little longer. It does not take long to cook, and you do not want the pudding to boil. You just want it to slightly thicken. When the pudding is somewhat thick, set it off the burner and add the butter and vanilla and mix well; set aside. In a large serving bowl. Arrange a layer of vanilla wafers evenly in the bottom. On top of the vanilla wafers arrange a layer of bananas. Pour a third of the pudding mixture over the bananas and vanilla wafers. Repeat the layers two more times. Arrange another layer of vanilla wafers evenly on top of the pudding mixture. Also, arrange vanilla wafers around the edge, pushing into the filling so only 1/2 the wafer is showing. Cook's Note: Depending on how thick or runny you like your pudding will depend on how much flour is added. Some say 4 tablespoon is not enough. We don't like ours super thick, so you decide. This is one of my favorite desserts. I discovered it a Pappadeaux's restaurant and have made it often at home. When in a time crunch, I use the Kozy Shack banana pudding in the fridge section. Not quite like homemade, but will do in a pinch! Love our bowl! oh how I do love real banana pudding!! thanks so much for sharing your recipe, I can almost taste it now!!! I love banana pudding like this. I have to agree - those cooked puddings are always the best. I love making a microwave choco pudding cause I can eat it soon...and warm. =) Thanks for sharing. MMM! Is that one cup of sugar? It just says 1sugar....I grew up on my grandma making this, it is awesome! Tammy ~ sorry about that...I went in a changed the margins and I might have dropped off the measurement. It is suppose to be 1 1/2 cups of sugar. thanks for letting me know. Homemade pudding is so much better, and I think those aprons are making a real come back because I keep seeing them in stores and all over the Internet. Pretty bowls. 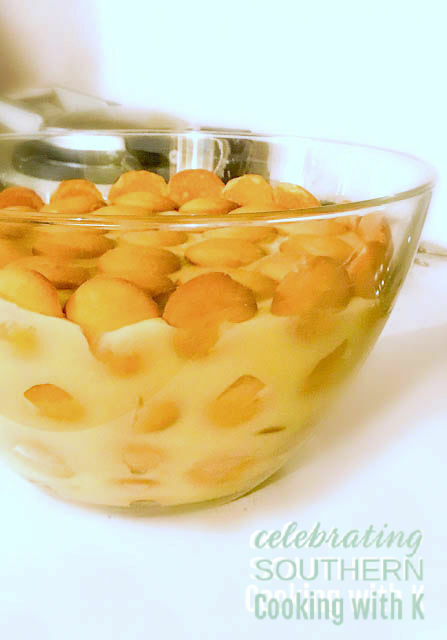 Thanks for linking your mom's banana pudding with Vintage Recipe Thursday. Should I use a small can or a large can of evaporated milk? YUM! Looks like it makes lots of pudding....that's my favorite part! I LOVE that you have a bowl like your Mother's! 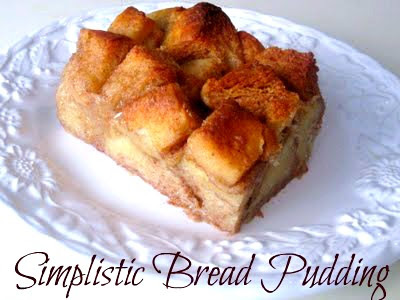 Thank you so much for sharing Granny's recipe!